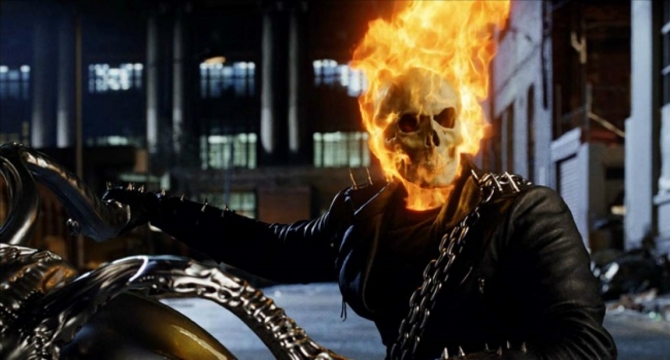 Ghost Rider is a character that just hasn’t had much luck when it comes to adaptations, despite finding a ton of success in the comics. In 2007, Sony released a movie starring Nicholas Cage as the eponymous antihero and a sequel followed in 2012, though both were pretty underwhelming, if not borderline garbage. As such, Marvel got the rights back and used them as a chance to inject some new life into the struggling Agents of S.H.I.E.L.D. by introducing Ghost Rider on the show. What we saw there was certainly a step up from the Cage version, but still, fans are crying out for a proper adaptation, and one on the big screen, too. Though there’ve been rumors that such a thing may happen soon, nothing’s been confirmed just yet, but that hasn’t stopped The Walking Dead star Norman Reedus from expressing his interest in the role, should it become available at some point. During Walker Stalker Con’s An Evening with Norman & Jeffrey event this week, the actor said he’d like to play either Ghost Rider or Silver Surfer as far as Marvel characters go. While we’re not sure we can see him as the latter, he’d be a perfect fit for the former, given that he’s often tied to motorcycles and biker culture in general, both in real life and on The Walking Dead. Not only that, but the actor’s expressed his desire to play the character on more than one occasion as well, so he’s clearly interested and you’ve got to imagine that Marvel’s aware of that. Whether they’ll take action and hire him is another matter entirely, of course, but they really do need to bring us a proper adaptation of Ghost Rider some time soon and drafting in Reedus to help them would certainly result in just that. What the studio should really do, though, if they want to please fans, is bring us an R-rated movie featuring the character. That’s unlikely to ever happen, however, which is truly a shame, especially since within the previous films, there was a palpable sense that the directors were holding back in order to achieve that PG-13 rating, which in 2007 was pretty much what all superhero pics had to aim for. Spirit of Vengeance director Brian Taylor agrees with that, too, annoyed that he never got to fully realize his vision in the sequel. Especially now that we live in a world where Logan and Deadpool are smash hits, it’s a little frustrating to think that Ghost Rider probably won’t ever get the same treatment. Oh well, here’s hoping that at least Norman Reedus gets to play him in some shape or form in the near future, even if it’s in a PG-13 affair.